Last year there were many rumors about Nokia’s First Android phone with code name Normandy.This year,these rumors seem to be come true. 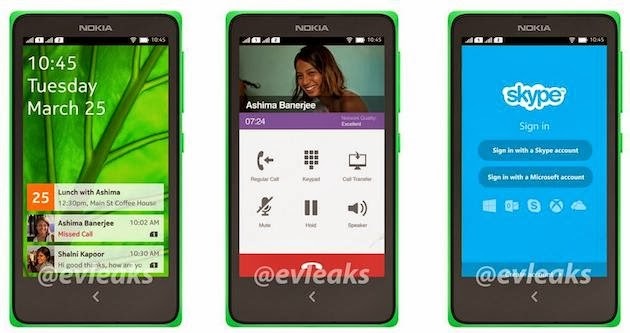 According to latest updates, the Nokia will launch this device in march this year as a member of Asha line up. If you are not heard of Nokia’s Normandy project,then here are the quick specs of the device that Nokia is likely to lauch this year. As the Microsoft is purchasing the Nokia’s Headset division, Will Nokia will be able to launch its first Android mobile device before the deal is finalized? Will Microsoft will provide support to this project when it already stated clearly that its main interest is to develop windows phones.Answers to these questions are not clear and there is no word from officials. One thing that is worth noted is the android version coming with Nokia Normandy(also named Nokia X) is not same as you see on other devices.It will come up with forked Variant of the Android.This will be quite similar to what Amazon does with its kindle fire line.Here is leaked screenshot of user interface of the device. Also, the Nokia Normandy will not feature Google’s Play store and hence thousand of play store apps will not be available on the device .Rather,only its underlying core software will be android based. This phone will joined the current Asha lineup of Nokia.There is also news that the phone will also be available in dual SIM variant.As for the color options, consumers can choose from the various colors available. 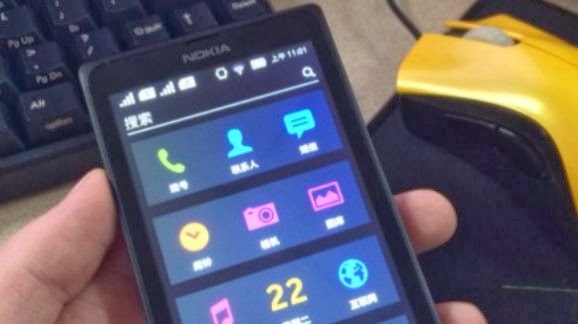 Leaked images of the Nokia Normandy show the device sporting the bright green, white, yellow, red, blue and black color choices. According to sources the device will launched in march this year.Hope the Nokia will break its silence on this project and we will hear about this soon from them.